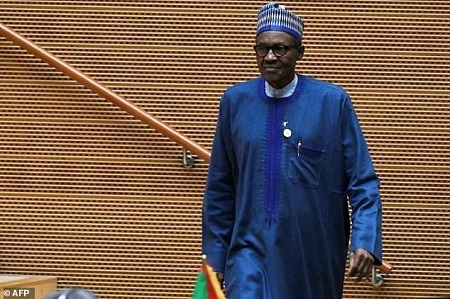 Nigeria’s President, Muhammadu Buhari narrowly escaped another embarrassing scenario after he almost fell while trying to take a seat at the just concluded All Progressives Congress rally in Kaduna. Recall that just two days ago, Buhari slipped during an APC rally held in Kogi State and just on Thursday, he goofed at another rally held in Delta state where he handed his party's flag to yet another phantom 'APC presidential candidate'. The latest gaffe by Buhari has led many people to believe that all is not well with the President as 2019 election gets closer. Many Nigerians are worried about the true status of his health.